Iggy Pop’s solo debut: What’s up with The Idiot? Unfortunately, there are a lot of unsung heroes of the 1970s hard rock music scene. Humble Pie is one of those bands that you do not know until you hear one of their songs come up on the radio. Then again, they would have to be played on the radio for that to happen. The only times I have ever heard Humble Pie played on the radio was when I played them on my college radio show or while listening to the Deep Tracks station on the satellite radio in my Uncle’s rented Dodge Ram. Here’s a little bit of background about the band. They were British. Lead vocals were sung by Steve Marriott. Lead guitar was played by Peter Frampton. They formed up in 1969 after the break up Marriott’s band, the Small Faces, and Frampton’s band, the Herd. 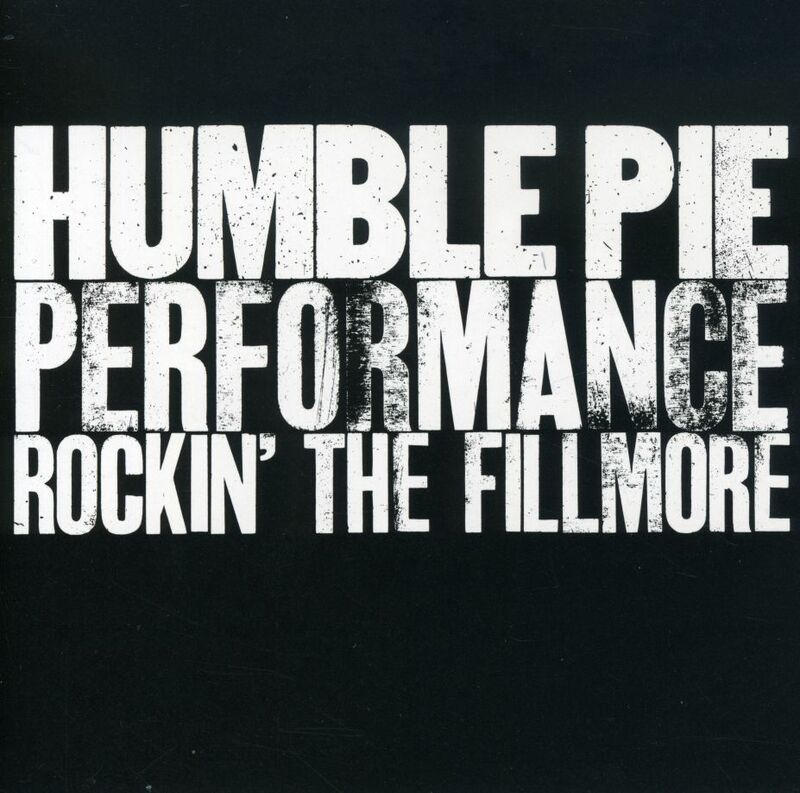 Performance Rockin’ the Fillmore is one of my favorite live albums. I do not apologize if this review is biased. It is an amazing album and every music enthusiast should hear it. The album was recorded on Frampton’s last tour with the band before he would go off to pursue what would become a very successful solo career. Both Frampton and Marriott were at the top of their game at the time of recording in 1971. There is only one original song in the 72 minute set: “Stone Cold Fever,” originally released on the band’s previous album, Rock On. The rest of the tunes are covers, including a 23 minute version of Dr. John’s “I Walk on Gilded Splinters,” a little bit different compared to the original version. Humble Pie takes all of the Louisiana bayou sound that Dr. John had given his song and turns it into an enormous build up of energy by using tortured vocals and expressive guitar licks. Marriott even lends his pipes to the harmonica for a while. The song, as a whole, is the epitome of what a jam should sound like. I am not so sure the Grateful Dead ever understood that a jam should not sound like an orchestra tuning up before a recital. It should be melodic and reflect the energy in the room. Although, they probably did reflect the hippy dippy flower power energy in the room. Excuse me while I take a nap just thinking about it. The album culminates with a stirring rendition of “I Don’t Need No Doctor,” which happens to be the band’s first successful single in the United States. I feel that it is not right to have to cut down a song filled with such energy and passion for playing music, but that is what A&M did to release the song as a single. Granted, nine minutes is a bit long for a single. This album ranks up there for me with some of the greatest live albums of all time. My top live albums include the Who’s Live at Leeds, Little Feat’s Waiting for Columbus, the Band’s Rock of Ages, the Allmans’ Live at the Fillmore East, and Humble Pie’s Performance Rockin’ the Fillmore.